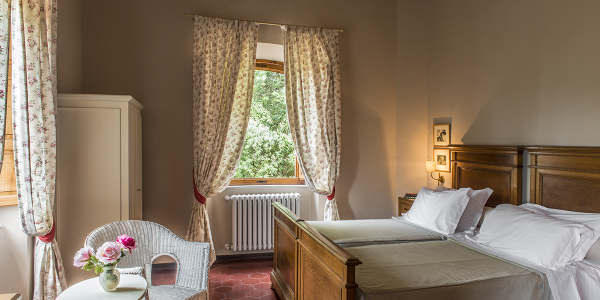 The Villa is located in the Chianti region, about 350 metres over sea level with a south, south-west exposure. 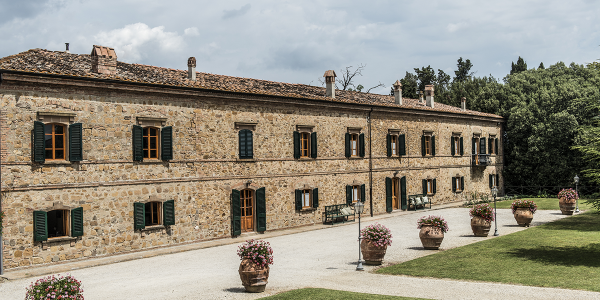 It is an exclusive 600 sqm large country house, made of ancient stones and It is developed onto two floors. 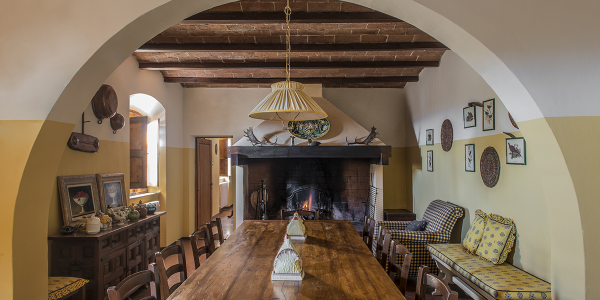 The Ground Floor has a sitting room, a main hall connected to the billiard-room and to the library; on the other side, a wide dining room, a hunting hall with big fireplace, an office, a fully equipped kitchen and a big bathroom. The First Floor encloses three double bedrooms with private bathrooms with shower, two double bedrooms sharing a bathroom with bath and shower, a double and a single bedroom sharing a bathroom with bath. 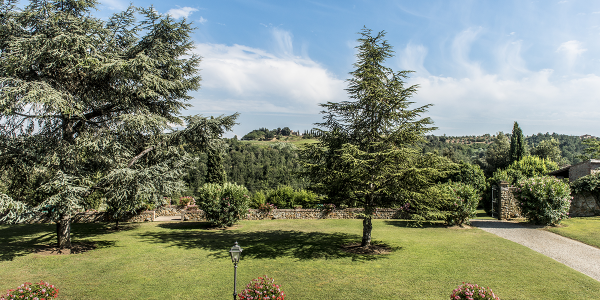 The Outdoor consists in 500 sqm garden with breathtaking view on the tuscan countryside. 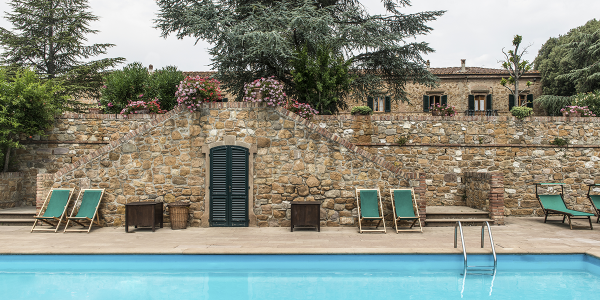 A stone staircase leads to the swimming pool (9×14 m large, 1.20-2.50 m deep), surrounded by a big grass area close to the loggia with table and chairs. On the back of the open gallery there are also a bathroom and three dressing-rooms, one of which with a big shower cabin. The Villa Policy is based on weekly rentals from Saturday to Saturday; a maximum of 4 children (aged 12) can stay in the property; pets not allowed; Check-in from 3pm to 7 pm, Check out within 9.30 am; swimming pool opened from 1st May to 2nd October. Great views of San Gimignano and Montaione, very peaceful surroundings. 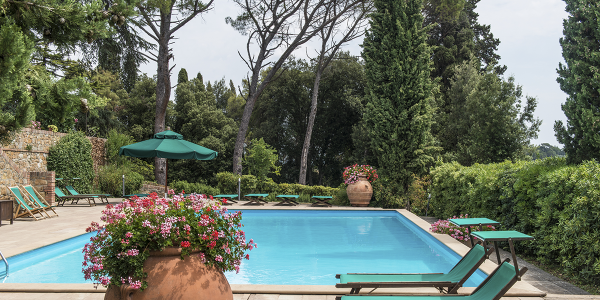 The loggia close to the swimming pool is the ideal place where to relax and enjoy the panorama. 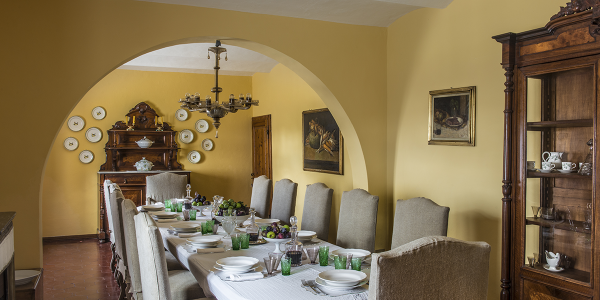 Ideal place for a family reunion or a peaceful retreat away from the bustle of the city centre. – Cook for meal preparation: breakfast (except on Sundays), lunch, dinner. Food costs not included.